2019 Mitsubishi Mirage Trim Levels with Comparisons & Configurations. What 2019 Mitsubishi Mirage Trim Level Should you Buy? What is the Difference Between Trims? These days, more and more people are concerned about fuel efficiency. As both gas and car prices soar, there is a growing demand for subcompact cars that are affordable and won't break the bank at the pumps. This is where the 2019 Mitsubishi Mirage can come in. It is perfect as a daily commuter and seats 5, making it roomy enough to throw the whole family in when need be. The all-new Mirage is part of a generation of vehicles that launched back in 2014. After taking a year off in 2016, it came back in 2017 full of new features. Cruise control becoming standard and silver stitching on the seats are the only major changes for these vehicles this year. There are four different trim levels for consumers to choose from when it comes to the Mitsubishi Mirage. Drivers can choose from the respectably equipped ES with a manual transmission all the way up to the top-of-the-line GT that rides on two-tone alloy wheels. There is a version of this vehicle to fit almost any budget and list of desired features. The following guide is designed to breakdown the differences between the trim levels in a way that should make it easier for buyers to determine which Mirage is right for them. Compare the 2019 Mitsubishi Mirage ES vs LE Trim Levels. What is the difference? The base level ES trim of the Mirage has many fun and convenient features at a very affordable price. It is the only trim that is available with a 5-speed manual transmission. The other option for the ES is a 2-speed continuously variable transmission, which is standard on all over trim levels. All trim levels of the ES are powered by the same engine. It is a 1.2-liter I-3 and it can produce up to 78-horsepower as well as 74 lb-ft of torque. Versions of the ES will the automatic transmission will actually get slightly better fuel efficiency, with EPA estimated ratings of 36 MPG in the city and 43 MPG on the highway. Mirage ES models with a manual transmission are estimated to get a very respectable 33 MPG in the city and 41 MPG on the highway. There are quite a few standard features on the ES trim. Drivers can enjoy a 7.0" touch panel display audio system as well as Bluetooth technology and remote keyless entry. Other features found on this trim include air conditioning, power side windows, a 6-way adjustable driver's seat, and a rearview camera. The ES trim features a silver shift panel on models that have the automatic CVT transmission. Every other trim has a black one instead. Consumers who go with the ES trim will get halogen headlights as well as LED rear combination taillights. Chrome grille accents and the standard rear spoiler help make every trim of the Mirage stylish. This trim sits on 14-inch steel wheels with wheel covers. There are plenty of convenience features on the ES trim of the Mirage. All versions of this vehicle feature have steering wheel audio and phone controls. These controls can be used to adjust the digital HD radio that comes on the ES trim. There is also a USB port as well as a 12-volt power outlet. Safety features are the same no matter which trim level of the 2019 Mirage consumers go with. They include things such as Hill Start Assist, Active Stability Control, Electronic Brake Force Distribution, and a Tire Pressure Monitoring System. Drivers may find the Mirage to be somewhat lacking in safety features compared to other options out there. Drivers who move up to the LE or Limited Edition trim will find some exciting upgrades for a relatively small price increase. It is the only trim of the Mirage to feature black side-view mirrors. Another thing unique to the LE is the 15-inch black alloy wheels. The inside of the LE trim is full of eye-catching red touches. The seats are made of black fabric with red accent surfaces. There is also red stitching on both the steering wheel and the knob shifter. Finally, there are red interior panels to really make the inside of this Mirage pop. The LE is one of two trims to feature heated front seats. This is also the first trim level to feature a leather-wrapped steering wheel. The LE adds a driver's seat armrest, which is missing from the base level ES. As for convenience features, this is the first trim level to add Apple CarPlay and Android Auto capabilities. Going with this trim or above gives drivers a 6.5" Smartphone Link Display System as well as steering wheel voice controls. This is also the trim level that adds MP3 capabilities to the audio system. 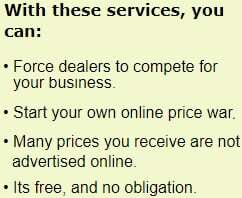 In general, many consumers will find upgrading from the ES to the LE to be well worth the extra money. More and more, people are expecting their smartphone and vehicle to work together. This is one of the major advantages that the LE has over the ES. It also has an interior style that may appeal to a broader range of buyers. Compare the 2019 Mirage LE vs SE Trims. What is the difference? Moving up further on the trim scale, drivers will find the SE. It adds more premium features. It is the first trim level to offer standard fog lights and turn signal indicators on the side mirrors. This trim level comes with 14-inch alloy wheels. The SE says goodbye to the black side mirrors in favor of body-colored ones instead. The inside of the SE has a different look and feel than the LE. Rather than the red touches, it has features such as gloss black door panel accents and chrome plating on the interior door handles. When it comes to convenience features, these two vehicles are pretty similar. The SE trim does add automatic climate control as well as the FAST-key passive entry system with a push-button start. For some drivers, the slightly more stylish interior of the SE will make it worth the price bump over the LE. When it comes down to it, however, the SE may not have enough upgrades for many consumers to consider it a better buy. Compare the Mirage SE vs GT Trim Levels. What is the difference? At the very top of the 2019 Mitsubishi Mirage line is the GT. There are not actually many differences between it and the SE. Like the LE, it features heated seats. The only features that really set this trim level apart are the HID automatic headlights and bold 15-inch two-tone alloy wheels. There is the smallest price difference between the SE and the GT trims. 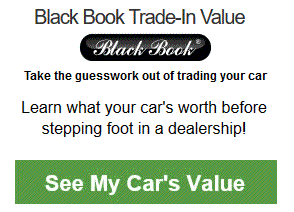 Drivers shopping in this car class are typically looking for the best deal possible, however. Many people may not find these minimal differences to be worth upgrading to the top-of-the-line GT. Generally speaking, the Mitsubishi Mirage is the car consumers turn to when they are looking at affordability above all else. Due to this, the base level ES and next step up LE are likely the best options. They include many standard features, such as a touchscreen, Bluetooth capability, and a rearview camera. Due to the addition of smartphone integration, the LE has a slight edge over the ES and many consumers will likely find it worth the small price bump. The fact that each trim comes with the exact same engine and safety features is another reason to hesitate about going with the more expensive options. Ultimately, upgrading to the SE or GT just gives drivers a slightly more stylish vehicle without much improvement in functionality or convenience. 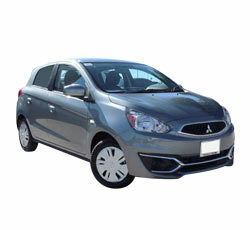 Those who are in the market for an extremely affordable new daily commuter will be well-served by the 2019 Mitsubishi Mirage LE. Before digging into the difference between trim levels, here is a quick summary of why a consumer may be interested in the Mirage in the first place. Each trim level will give drivers up to 47 cubic feet of cargo space. This is a very respectable number in the subcompact car category. There is a rear shelf, 60/40 split rear seats, and a luggage floorboard, allowing drivers to chose from several different configurations to best suit their needs. The 2019 Mitsubishi Mirage boasts a best-in-class turning radius. 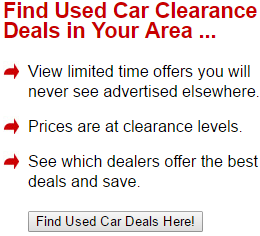 This makes it a great city car because it can fit into those tight parking spaces and maneuver around sharps corners. This vehicle is also much lighter than its competitors, weighing just over a ton. It is an astounding 500 pounds lighter than the Ford Fiesta, one of the Mirage's biggest competitors because they both feature three-cylinder engines. When designing the Mirage, Mitsubishi aimed to reduce blind spots. They were very successful with this, thanks to the well thought out aerodynamics. Since seeing behind the vehicle can be just as important as seeing in front of it, the Mirage features standard rear wipers as well as power adjustable side mirrors. The biggest reason for consumers to consider this vehicle is that it is the most fuel-efficient non-hybrid in the United States. As a result, not only does the Mirage have a relatively low initial cost, but it will also continue to save consumers money down the road.